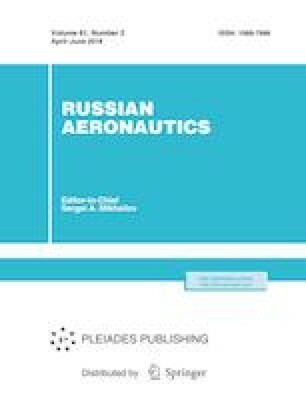 The problem of stabilizing the spacecraft orbit attitude was solved analytically for the sixth order model of its rotary motion with the use of the output feedback control synthesis that is based on decomposition of a control object. Numerical simulation data are presented. Original Russian Text © N.E. Zubov, E.A. Mikrin, V.N. Ryabchenko, I.V. Sorokin, 2018, published in Izvestiya Vysshikh Uchebnykh Zavedenii, Aviatsionnaya Tekhnika, 2018, No. 2, pp. 53–63.